Bethel #26 is selling Jobie Toques and Christmas Ornaments! 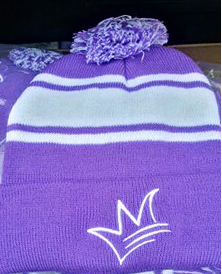 The Jobie toques have arrived! They are $20 each. If you order 2, the 2nd one is $15. Bethel #26 Prince George has a limited number of Jobie Christmas Ornaments for sale. Please contact Dianne Graham for more information and to order yours. Bethel #37 has the Travelling Gavel! Join us at any of our meetings (2nd & 4th Tuesdays) to try and get the Travelling Gavel! 2. Adults must be a parent or have a title with the Bethel to be counted. The Honoured Queen of the Bethel claiming the travelling gavel gets to enter her name and Bethel # in the official log book!